Medieval Women’s Choir welcomes you! The Medieval Women’s Choir is open to ALL women in the Seattle area interested in studying and performing medieval music. The choir is a warm and welcoming group, which treasures the opportunity to sing this remarkable music in a friendly and supportive environment. 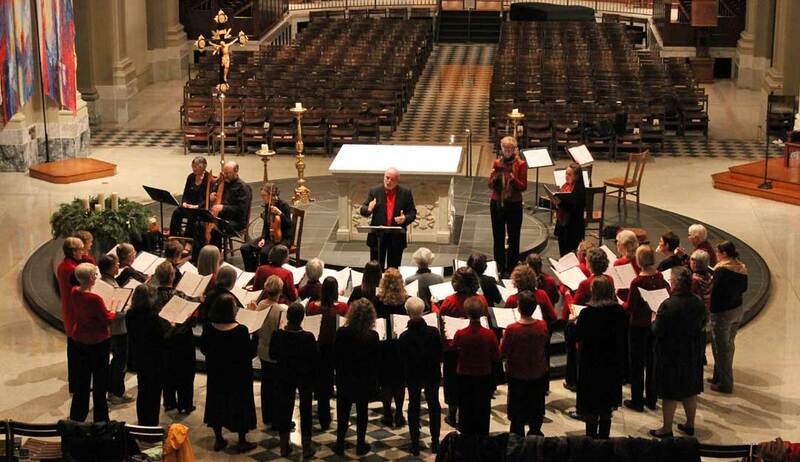 Current members range in age from 25 to 76; almost half the members have sung with the choir for at least a decade, and many since the choir’s inception in 1990. We do not require a formal audition; however, some music reading ability is needed. Vacancies are filled from our waiting list, which you may add your name to at any time.